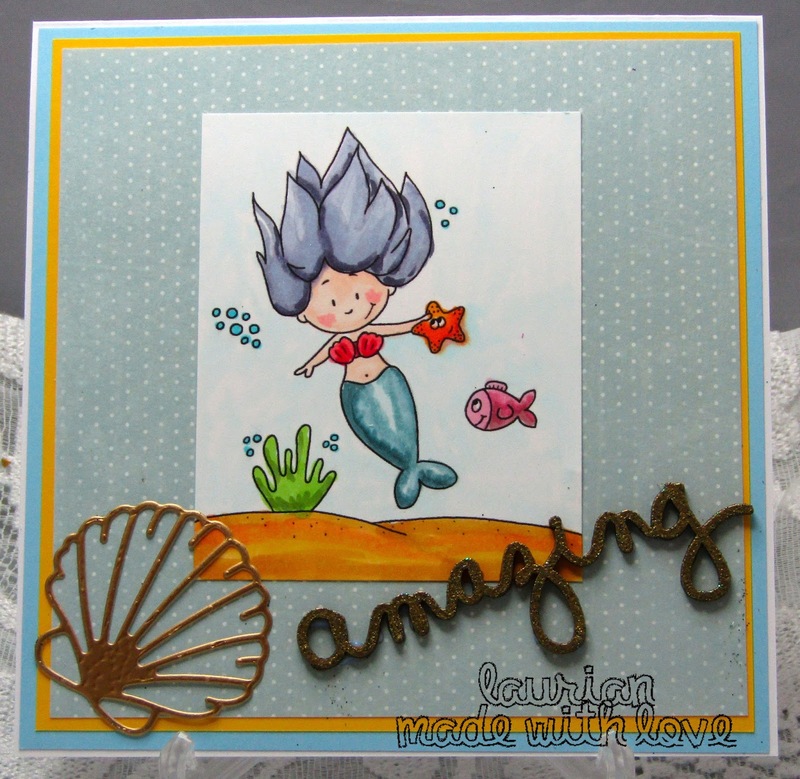 Outside the Box: Mermaid Cutie! This mermaid cutie is the image for this months Gerda Steiner challenge, if you'd like this one go over to GSD Stamps and sign up! I coloured her with Copics and added a couple of embellishments to finish off, she is just too cute!